The Africa Centre for Economic Transformation (ACET) says government can improve the current economic situation by promoting new approaches to farming. According to a study conducted by ACET, by adopting new approaches in the cultivation of cassava, cocoa, poultry and rice, Ghana could raise the standard of living of rural farmers and address the food deficit in the country. 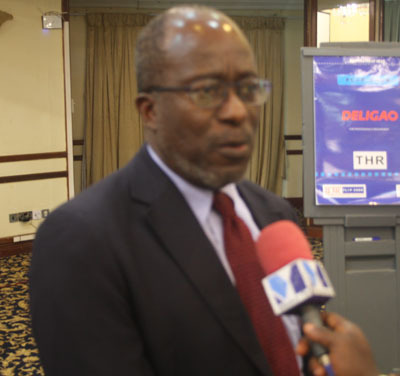 Chief Economist at ACET, Dr. Yaw Ansu, who was speaking at the launch of the report in Accra last Thursday under the theme, ‘Promoting Sustainable Rural Transformation,’ said government should inculcate modern science based agricultural techniques in the sector and make farming businesslike. “Ghana is importing a lot of food from Brazil, South Africa and other places. These are jobs that we could be having here and the foods that would be produced here would considerably be cheaper. Link it up to the rest of the economy in the process of economic transformation that ACET is promoting,” Dr. Ansu said in an interview. The report also revealed insights into how agriculture can improve Ghana’s economic transformation. Presenting the report to stakeholders, Dr Julius Gatune, a Senior Policy Advisor at ACET and principal author of the report, said most of the local industries in Ghana are in desperate need of varieties of cassava for various reasons. “Take cassava, most of the local production is geared towards varieties that make good fufu. As a Kenyan expatriate, I too have come to appreciate the value of fufu, but local industries are in desperate need of varieties that make good beer and starch too. That’s opportunity,” Dr Gatune stated. The report is part of a broader study of five countries -Ghana, Burkina Faso, Kenya, Tanzania and Uganda, which was sponsored by the Bill and Melinda Gates Foundation.